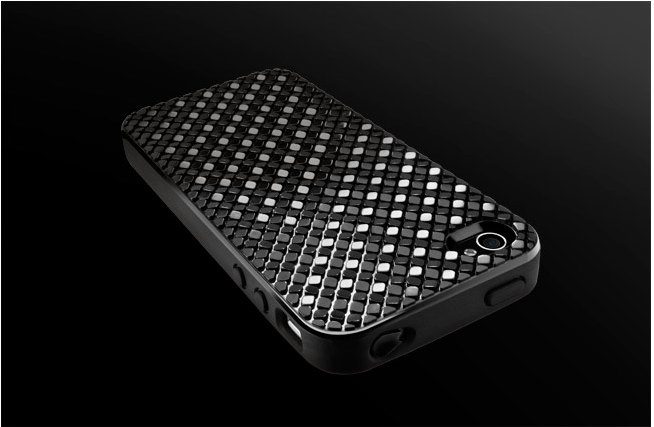 SwitchEasy has released yet another two new cases for the iPhone 4, the Vulcan and the Glitz. The Vulcan seen above is a slim case made from Hydro Polymer, a durable material that is scratch resistant. 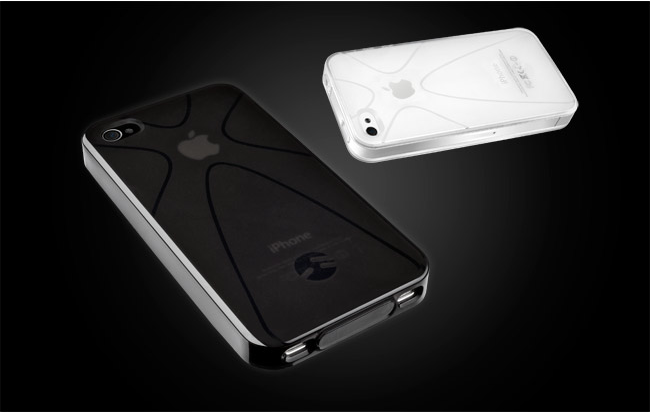 The Vulcan fully covers the iPhone 4 with included port covers and two screen protectors. The Vulcan is available now in both black and white for $19.99. The Glitz, like it's name has a shiny pattern that glitters at any angle. Like the Vulcan, the Glitz is made from Hydro Polymer material but also fused with polycarbonate for easy pocket sliding action. The Glitz includes port covers, two screen protectors, a video stand and universal dock adapters. The Glitz is available now for $27.99.